The Mudder Remote Shutter Release Cable is an electronic cable release for select cameras. It enables the flexibility of remote release, and features a 2-stage shutter button that can be locked down for timed exposures. 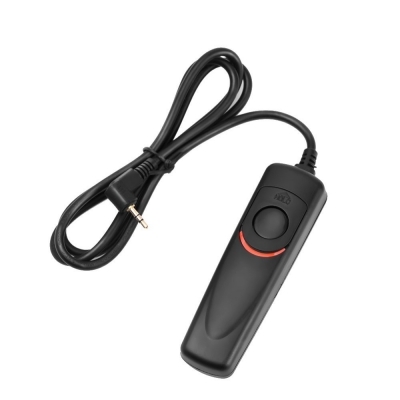 • Shutter Release Control: Half-way to focus, and full-way to trigger the shutter release. • Long Exposure: Push up the switch for long exposure. And push down to release. • Reduce Shake: Take a picture without touching the camera, remarkably reduce the shake. • Cable length: Approx. 100cm (39 inch).